Aloo Bonda is one of the simplest mouthwatering variety among Vada's or Bonda's. 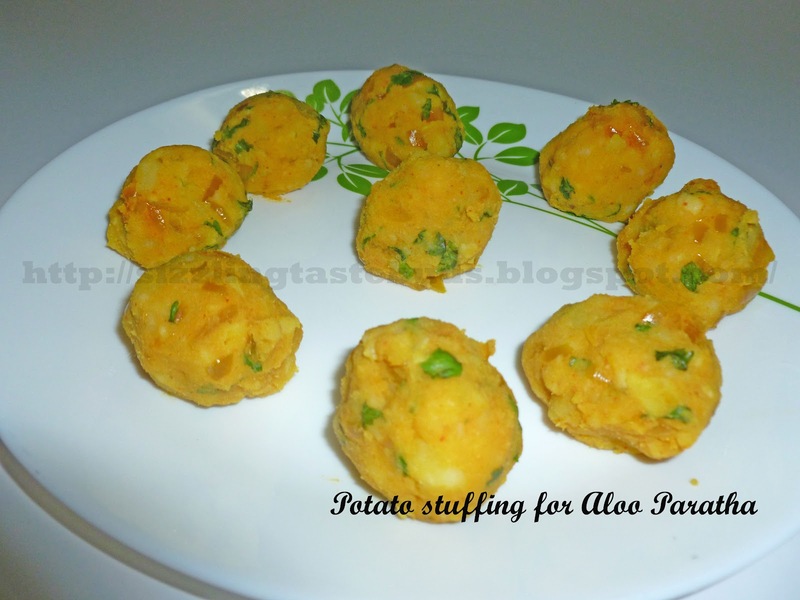 Had some mashed potato balls leftover after preparing delicious Aloo Paratha's. Stored it in a fridge and planned to do some quick Aloo Bonda's for my son after his tiring day back from school. Only thing missing was Pav. Well! Lets try that anytime later. 1. Heat Oil in a kadai and add chopped onions. Fry till they turn translucent in color. 2. Add Haldi, red chilli powder and Salt to taste. Give it a mix. 4. Now for the batter, take besan, salt, hing and 1/2 tsp red chilli powder in a bowl. Pour sufficient water to make it into a thick free flowing batter without any lumps. 5. 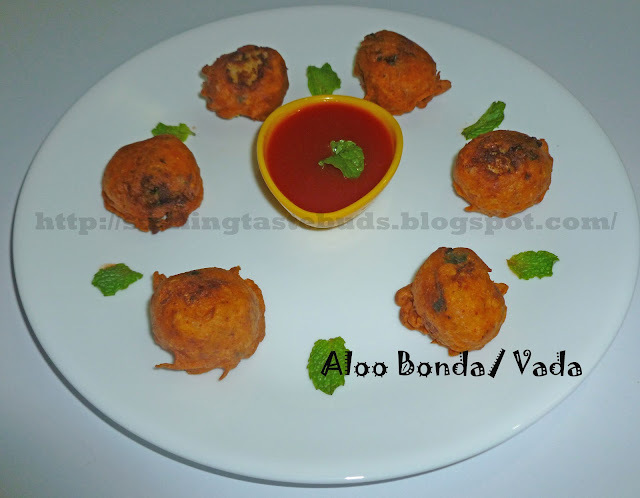 Heat oil for deep frying these bonda's. Take a potato ball, dip it into the prepared besan batter and drop it carefully in the kadai for deep frying. Continue with the rest and fry these in a low- medium flame till a nice golden brown color is formed. 6. Serve it with Pav as the famous Mumbai Vada Pav with some spicy pudina chutney. Very nice and detailed recipe steps.